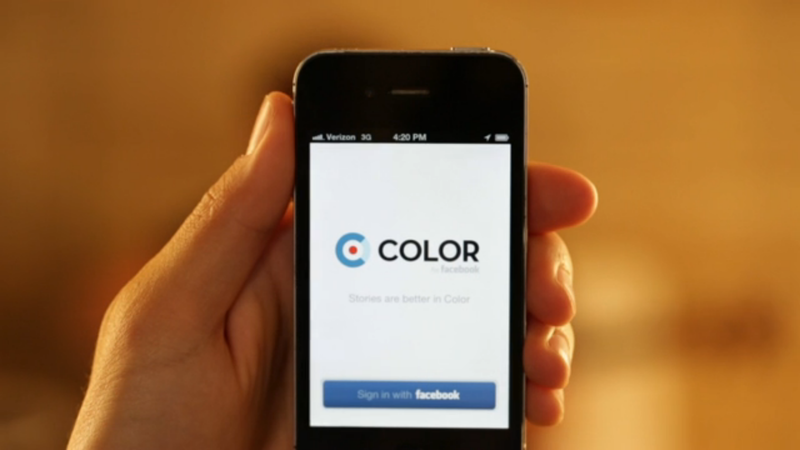 One minute Color Labs, creator of the photo-sharing social app Color, is closing down, then the next it’s not, and now there’s a rumor it’s about to be purchased by Apple. No matter which one is true, it has certainly put then app-the-world-forgot back in the news. Today’s rumor comes from TheNextWeb.com, where “trusted sources” say Apple is about to hand over a figure in the high tens of millions for company, and perhaps more importantly, its patent portfolio. The patents up for grabs include those related to GPS, battery saving, group content sharing and HD video recording. Forbes.com points out that Color has a trademark on its name, and an acquisition would also nab the desirable color.com URL. It also says that Google offered to purchase Color before it launched, and suggests that Apple wants to keep the patents out of Google’s hands. The report says that Color founder Bill Nguyen has thrashed out a deal with Apple thanks in part to an existing relationship with Eddy Cue, Apple’s VP of Internet Software and Services. Apple also purchased Lala, an online music startup and another Nguyen project, back in 2009. It’s said the Color deal is complete, and only needs a few signatures before it’s final. If the acquisition rumor is true, it clarifies Color’s statement that “Color is not shutting down,” which under the acquisition scenario, it’s not. Apple rarely talks about its acquisitions, but Color may spill the beans, should there be any truth to this new rumor.